And the stars look very different today. A bloody force of nature. The rogue of rock ‘n’ roll. Some knew him as David Robert Jones. We knew him as David Bowie. After nearly two years battling cancer, on Sunday January 10th, Major Tom would send his last transmission to ground control. Bowie peaked long before I was born in 1987 (although his career was of course in still full swing with Never Let Me Down), but his effect on my musical taste and devotion to original and conceptual lyrics and albums sculpted a section of my inner creative core. His drive to live in a state of perpetual dynamism , reinventing not only his image both on and offstage, but the sound of his voice and album construction with each album, marked Bowie as the captain of the SS Stardust, a flamboyant ship, strenuously navigating its ways through the murkiest waters of loneliness, desolation, and the fathomless depths of human existence – all the while in eyeliner and a glittering leotard. And I ain’t got the power anymore. Knowledge comes with death’s release. He trod on sacred ground, he cried loud into the crowd. 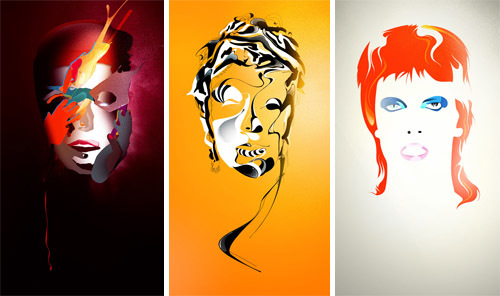 Farewell Ziggy, Aladdin Sane, Thin White Duke, Pierrot, Jareth & eternal Starman. A starman’s waiting in the sky. There’s stardust in the stars.